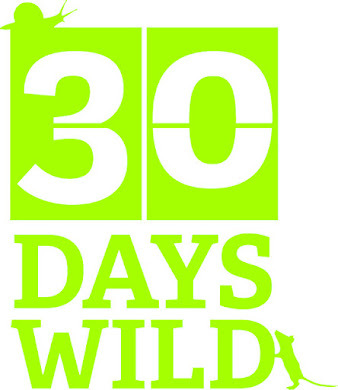 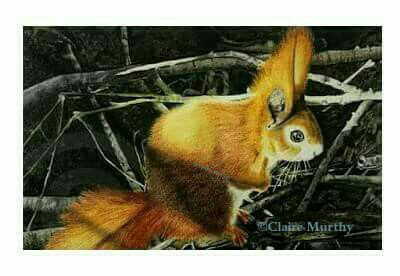 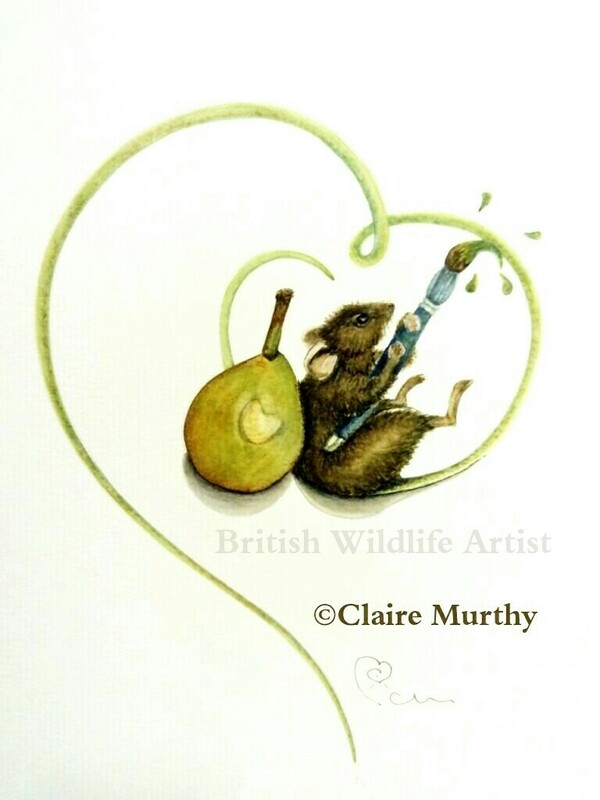 British Wildlife paintings, drawings and illustrations of SQUIRRELS from the garden and countryside. 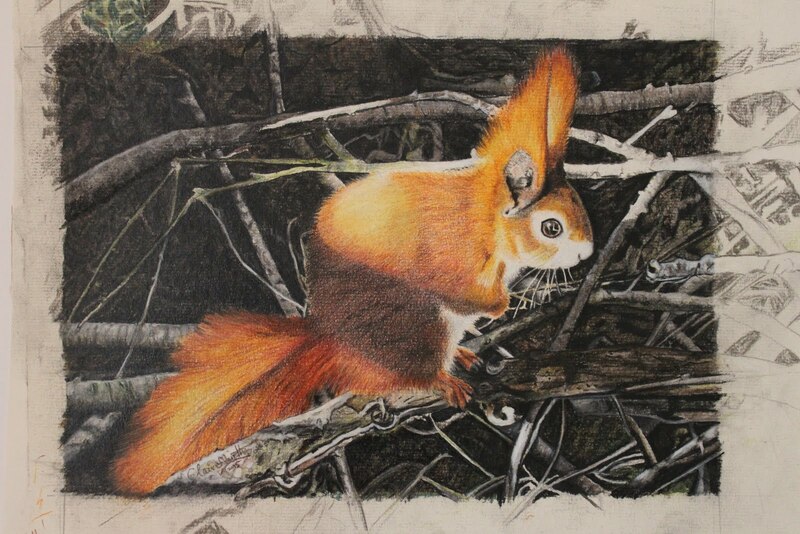 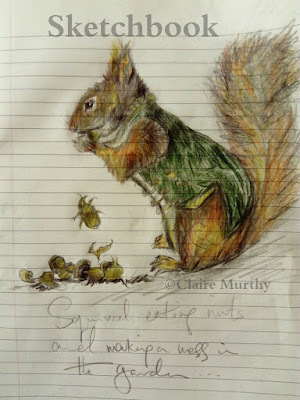 Red squirrels and grey squirrels sketched from observation - from sketchbook to fine art drawings and paintings. 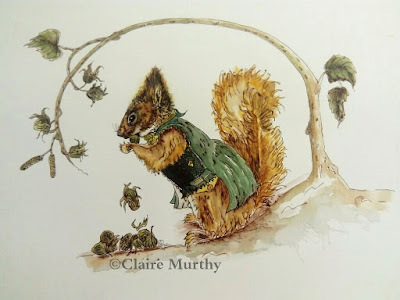 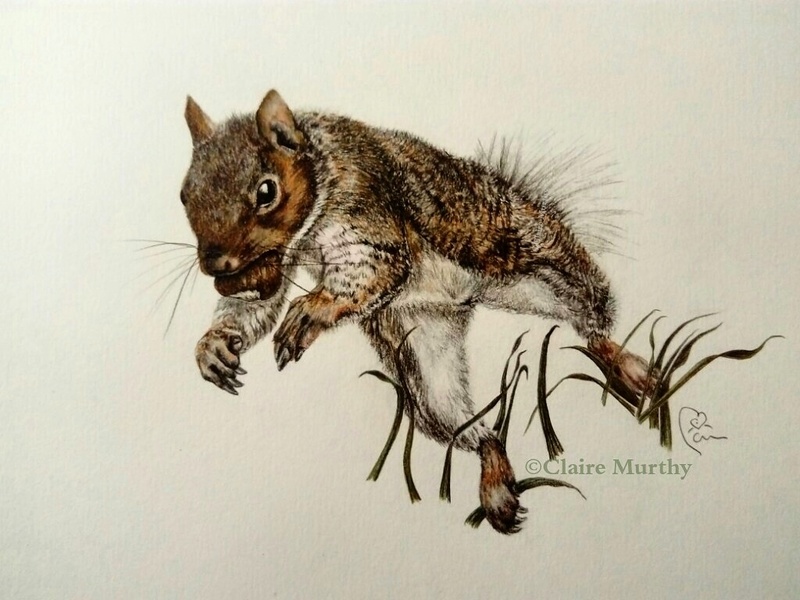 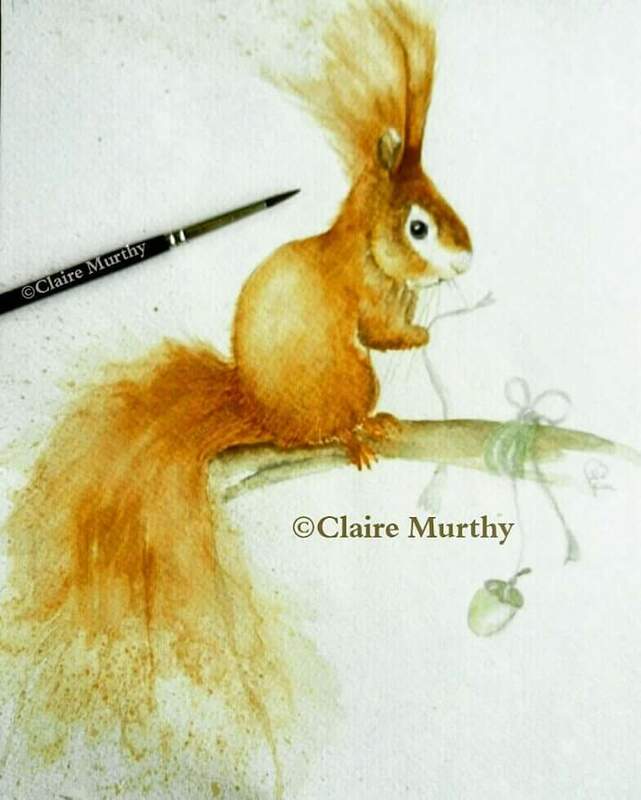 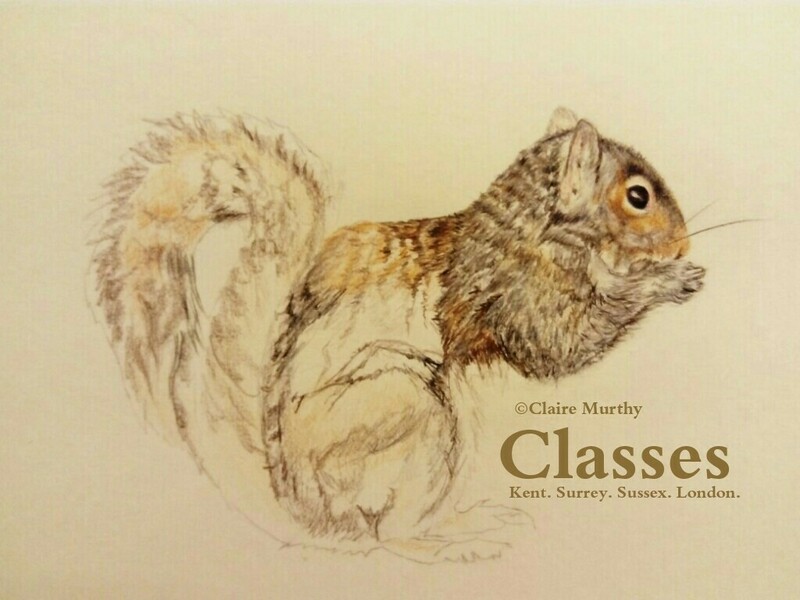 Different mediums to capture the squirrel characteristics in a variety of ways : whimsical watercolours, quick sketches, detailed traditional paintings and drawings. 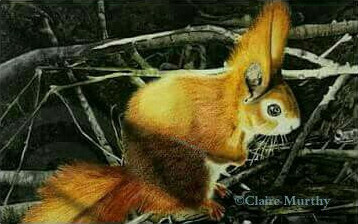 Notes about how to paint a squirrel are in the post British Wildlife Art squirrel painting in stages using coloured pencils.